Despite the auto business posting a $4.4 billion loss in 2015, State Farm as a whole still came out ahead $6.2 billion, the company reported Friday. The No. 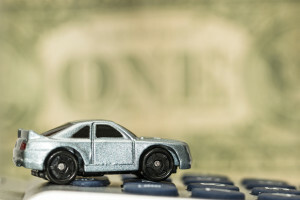 1 car insurer’s auto business itself — 62 percent of its entire property and casualty premium revenue — took in $36.3 billion, up 2.7 percent from 2014. Claim and loss expenses were $31.0 billion, up more than 5 percent than the prior year. Still, State Farm’s auto line ultimately lost $4.4 billion, up 29.4 percent from $3.4 billion in 2014, and dragging the overall property and casualty business’ underwriting loss from $939 million to $2.1 billion. Investments and other income brought P&C back to a pre-tax profit of $1.9 billion and net income of $5.6 billion. Though State Farm reported earned auto premiums which exceeded claims payouts by $5.3 billion, not all those premiums actually had been check-in-hand collected by State Farm during the year, spokesman David Phillips explained Friday. Thus, it could (and did) still lose money on claims, he said. “There was still an increased payout,” he said. Non-claim expenses like overhead and advertising also contributed to the $4.4 billion loss. No 2015 data was available, but State Farm spent $843.9 million on ads in 2014, according to SNL Financial data reported by the Chicago Tribune. The loss in auto was largely due to the increases in claims frequency reported nationwide, Phillips said. With a better economy and low gas prices, Americans are driving more miles on newer cars. The inevitable rise in frequency and often severity is good for shop revenues but bad for insurers. Asked if State Farm would follow the lines of Allstate, which raised rates, planned tougher claims handling, and toughened underwriting standards, Phillips gave few specifics. The company raised auto premiums nationally by 3.4 percent and cut homeowners’ by 0.5 percent in 2015. Some of State Farm’s future plans would be driven by competitors’ actions and the rapid advances in automotive technology, a topic generating many “what ifs and speculation” about auto insurance, Phillips said. As for the more near-term technological factor of telematics, “The answer’s yes,” Phillips said. State Farm was in the process of rolling its mobile “Drive Safe & Save” app and Bluetooth beacon across the country, he said. Asked if State Farm saw growth in customer demand for telematics, Phillips pointed out that the interest was enough that the insurer built the app.